Owning a reliable set of tools is vital for any keen DIY enthusiast – and if you’re just about to embark on your first project it can be hard to know exactly where to start. There are plenty of handyman tools on the market and the choice can be overwhelming, so start here to learn what basic equipment any budding DIY-er shouldn’t be without. Buying a new dining table? Choosing a new flatscreen? Don’t even think about it until you’ve measured your space to ensure that it will fit perfectly. 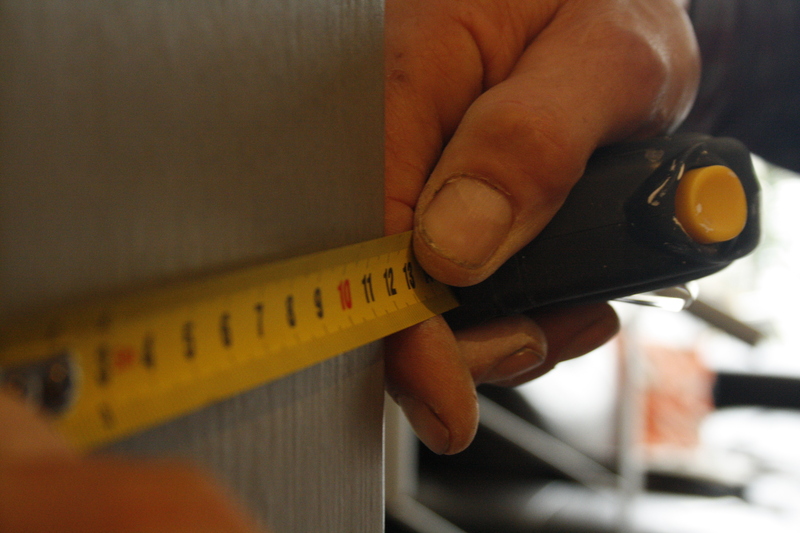 If you’re planning on tackling more ambitious projects such as building shelves or cupboards, a tape measure is going to be your starting point. 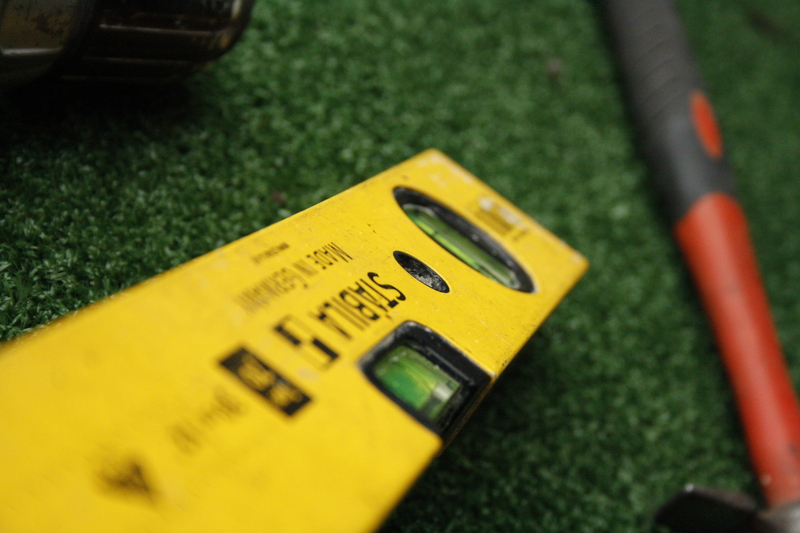 We recommend a metal, retractable tape measure with a belt clip so it’s always close to hand. Because the sliding jaw allows you to change the size of the spanner as needed, this handy addition to your toolkit will mean you can deal with nuts and bolts of varying sizes without needing to use other tools. There is a knack to using this tool effectively, so be sure not to over-tighten the spanner when you’re attaching it to the bolt. If you over-tighten, or attach incorrectly, then you’ll damage the bolt head – making it near impossible to remove. To start, you’ll need 2 sets of screwdrivers: flathead and phillips-head. These are both essentials, and you’ll use both pretty regularly around your home. They are each suitable for a particular type of screw with a corresponding head. The flathead screwdriver has a single blade and the phillips-head has a 4 point cross blade. You’ll need each of these types in varying sizes if you want to be ready for anything. There really is no excuse to not own a level these days – if you don’t want to purchase a traditional level, then you can put a virtual version to work for you instead with the iPhone level which is accessed via your compass app. If you’re a little more traditional like us, then you can’t go wrong with a 3-4ft metal spirit level. There are also laser levels on the market which are completely hands-free. You might think a level is only needed if you plan to put up shelves or build walls, but you’ll find it comes in handy for so much more – even hanging pictures is a doddle with a level in your toolkit. Vise grips are a handy tool that does more than one job – as they are essentially a set of pliers that double as a clamp by locking securely into place. You can choose from a one-handed or two-handed release system, depending on your preference. Whether you’re demolishing, fixing or building from scratch, you aren’t going to get far without a decent hammer. When you’re choosing a hammer be sure to weigh it in your hand before you purchase it – is it well-balanced and comfortable to grip? 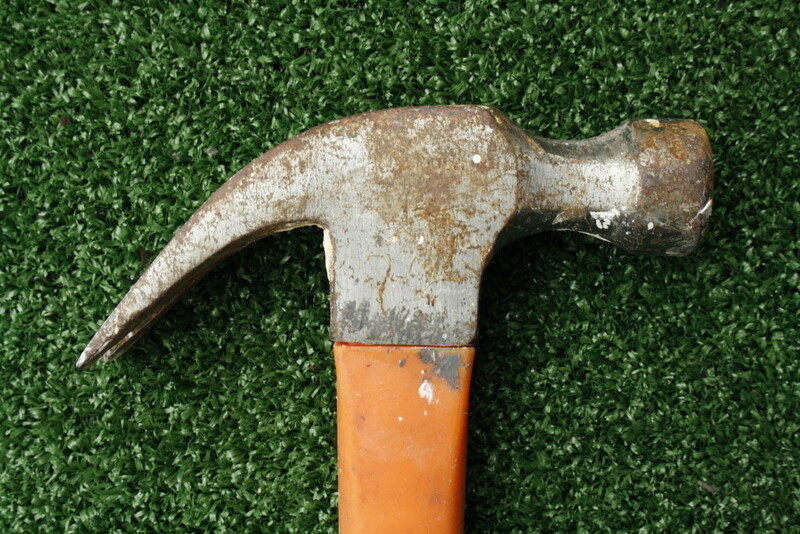 A 16oz hammer is fairly standard and should be suitable for most DIY projects without weighing you down. You may be tempted to go for a hammer with a classic wooden handle – and whilst that won’t make any difference to the quality of the hammer itself, it is likely to have a shorter lifespan than a synthetic or steel handle will. If you’re planning on doing any carpentry at all, then a handsaw will be an essential tool for your kit. You might prefer to buy an electric version, and that’s fine, but a traditional handsaw is still something you should own. Knowing which handsaw to use for which job is a daunting prospect as there are so many options available to you – but it comes down to understanding the job you are undertaking. General all-purpose: If you want to get the job done quickly and don’t mind a rougher cut, then a rip saw is just what you need. If you’re after a finer finish and are willing to spend a little longer working to get it, then a cross cut saw will suit you perfectly. Cutting metal or piping: You need a hack saw, easily identifiable by its thin blade with very fine teeth. Intricate woodwork or cutting joints: A coping saw is the ideal tool for this job, it has a blade that you can adjust to make cuts easier. With these basic tools in your collection, you’ll be sure to get your DIY project off to a flying start. For advice on your DIY project, or to get the help of a handyman call us today on 071 319 2831, or ask us your question online now. I agree with your list – those are indeed a starter pack to DIY and must-haves for any persons calling themselves handymen. Thanks for the feedback – if there is anything you think should be added then please let us know for next time!